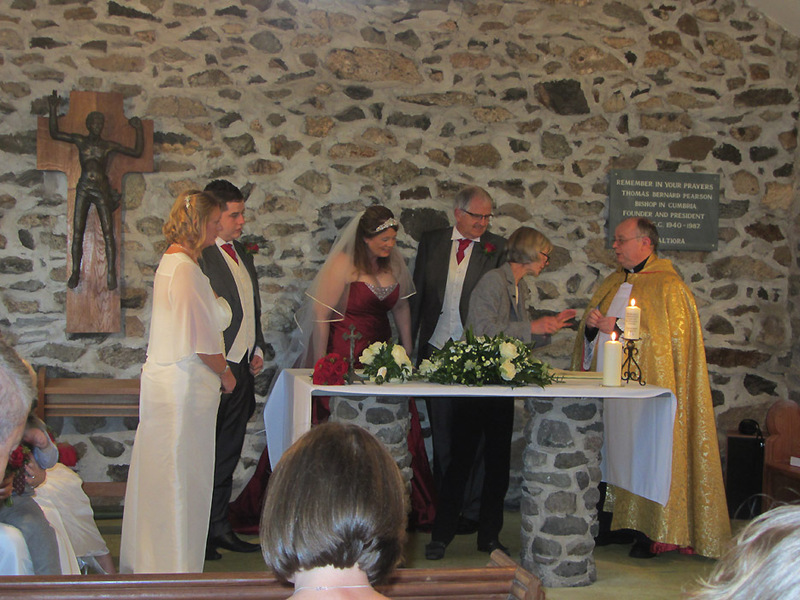 " The Marriage of Edmund and Susan "
Date & Time: Saturday 17th August 2013, 3 pm start. Places visited : The Achille Ratti Climbing Club Chapel and the NDG. 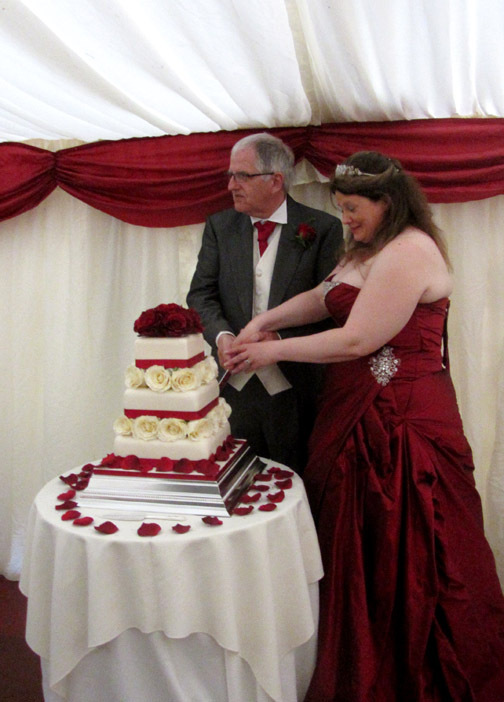 An afternoon ceremony and an evening in the marquee in the grounds of the hotel. 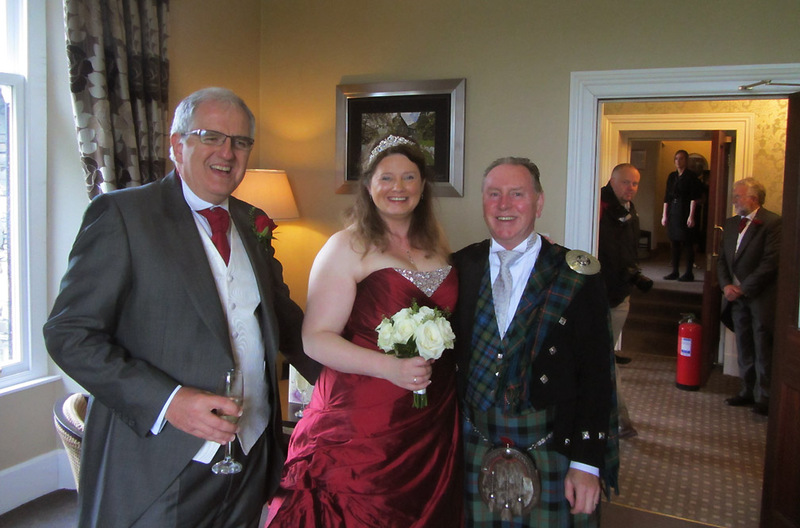 We met Edmund and his brother Paul through our links with the Online Fellwalking Club and through Ed, we soon got to know Susan too. 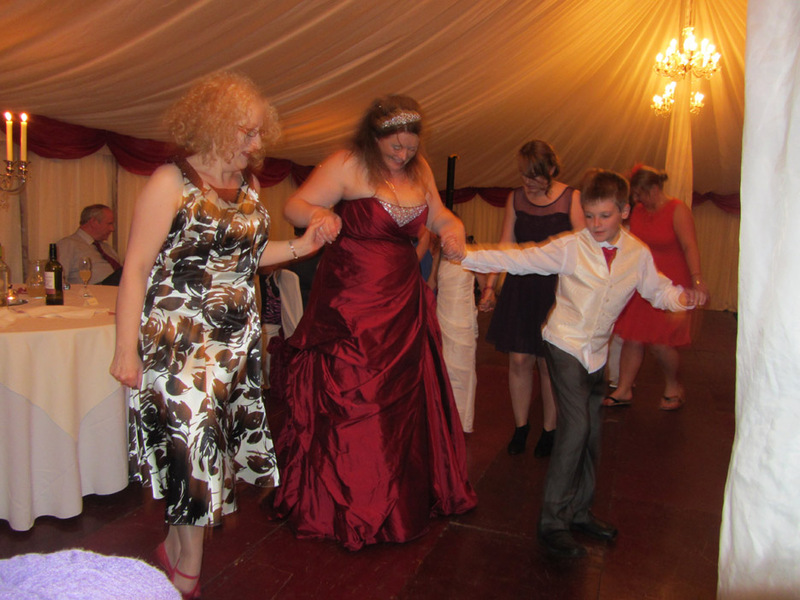 to this Harrison / Davies-Roper family event. 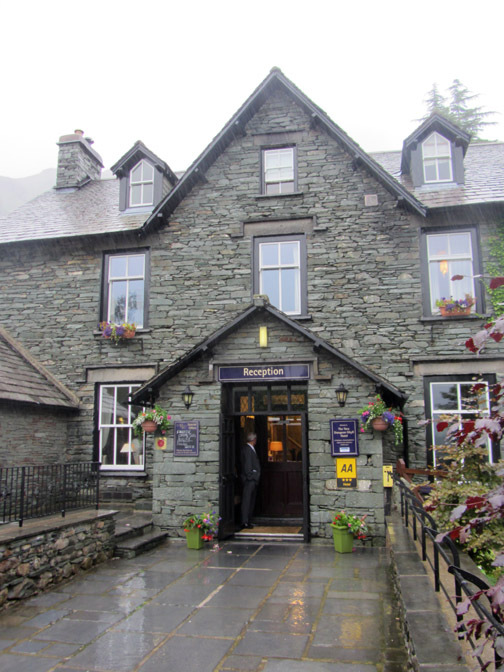 The New Dungeon Ghyll Hotel in Langdale where we met before the Saturday afternoon service in the Chapel. 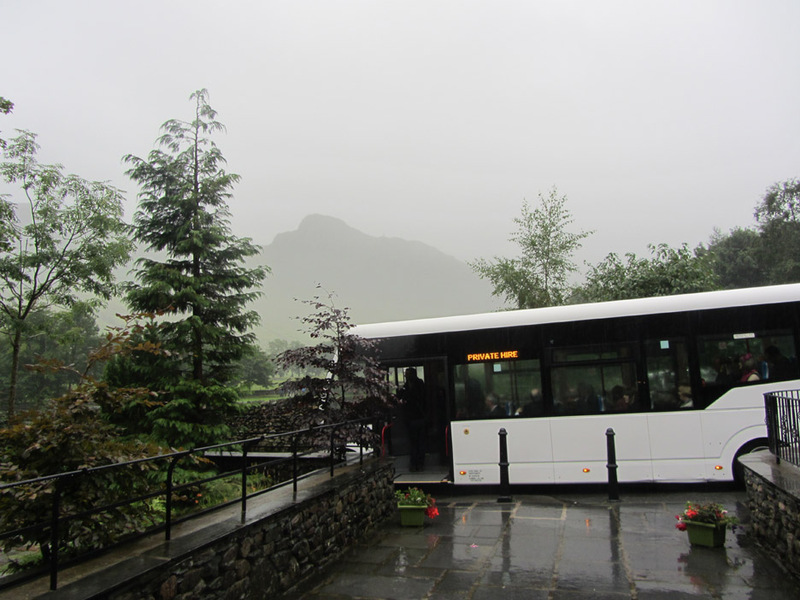 A bus arrives to transport us through the unrelenting rain to the Chapel. Side Pike looming out of the mist is all we can see . . . the rest are lost high above us. 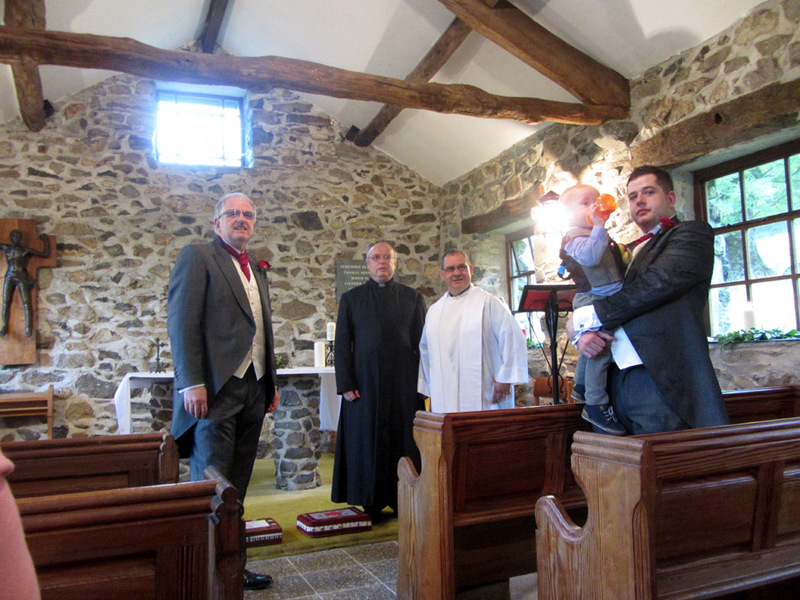 Ed waits for his bride, along with his son Matthew and Grandson Oliver (Ed's daughter Emma's son). 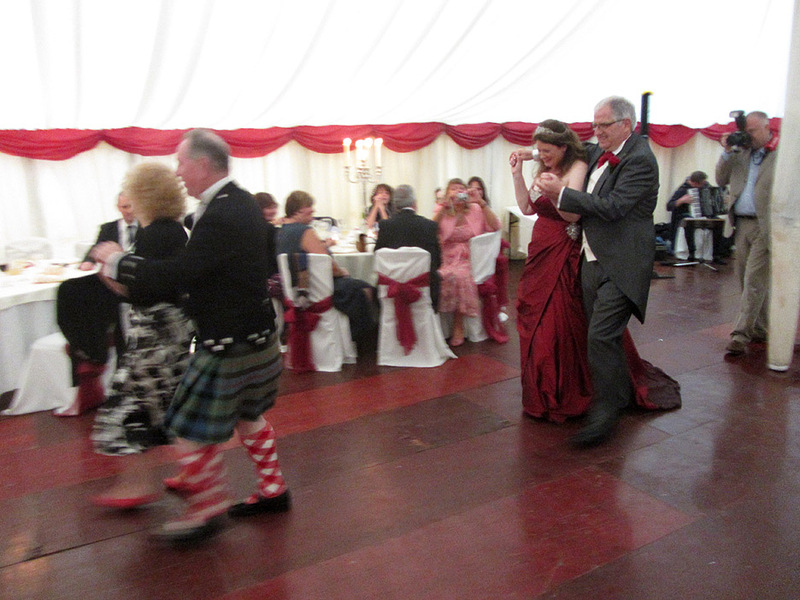 Looks of anticipation as Susan arrives to the sound of 'Amazing Grace' again played by Uncle Alan on the bagpipes. Ed's brother Paul looks as if he has forgotten something . . . we hope not ! 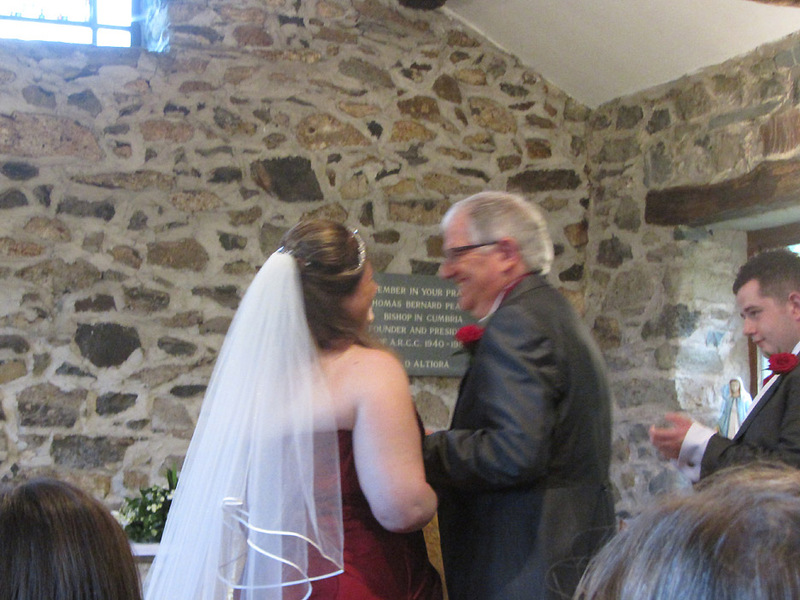 Paul conducts the marriage of his brother Ed to Susan. 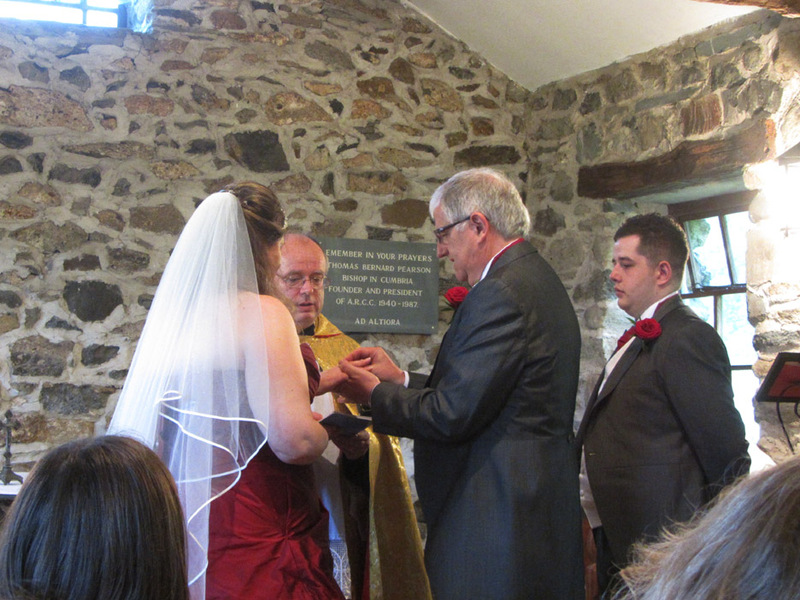 Ed places the ring on Susan's finger. 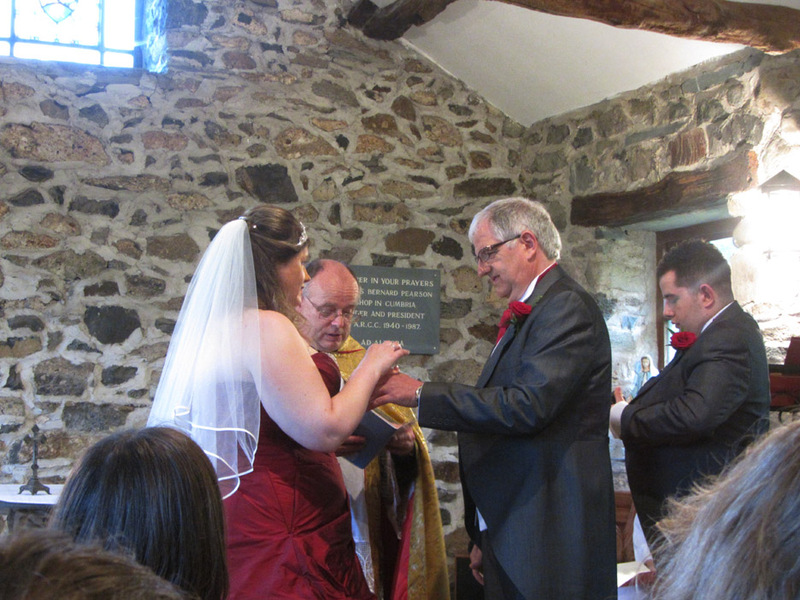 Susan does likewise and slides Ed's ring into place. 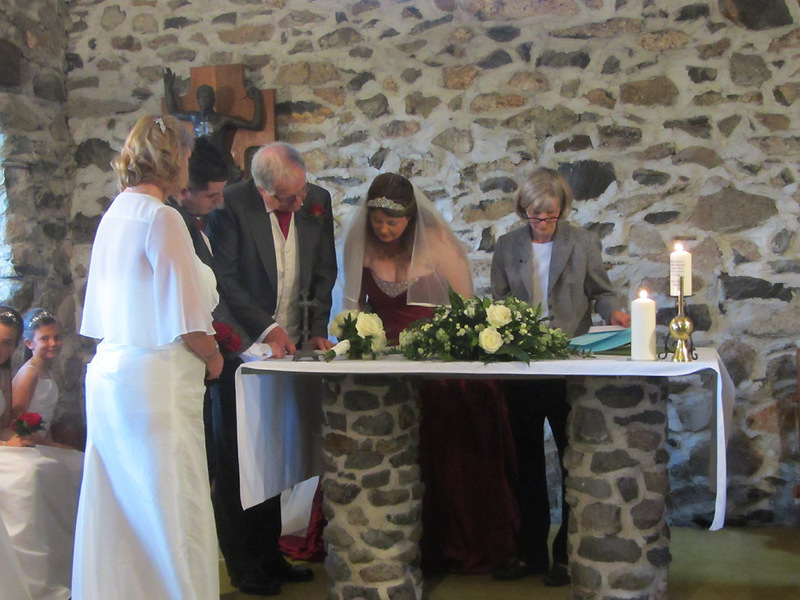 The formalities of signing the civil register. 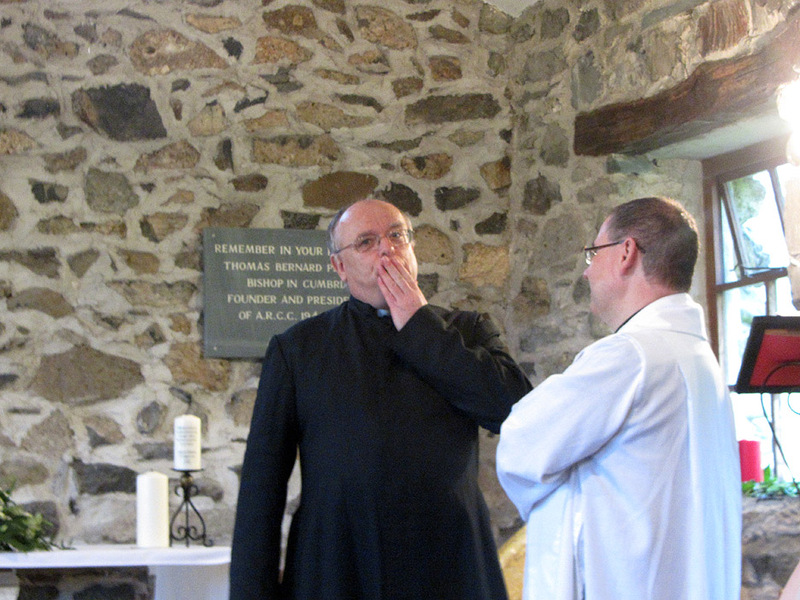 The registrar consults with Father Paul. 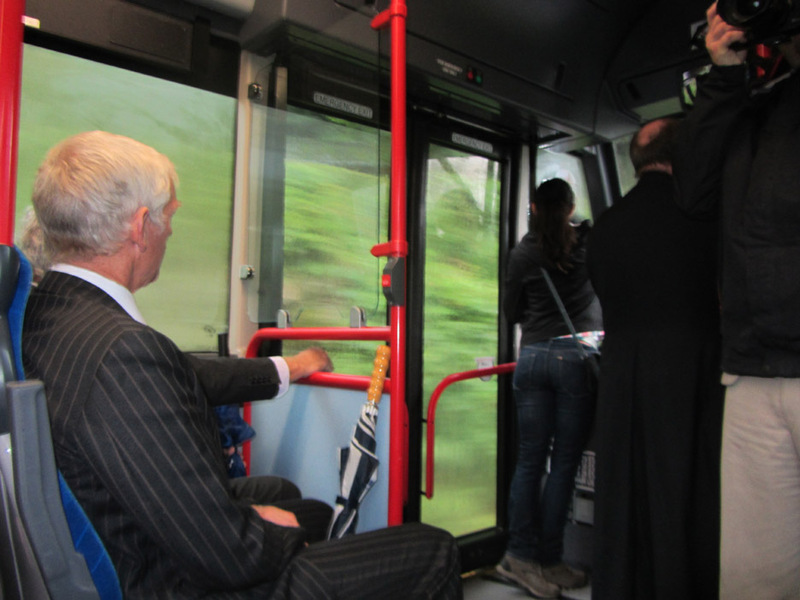 and all the guests load onto the bus for the short journey back to the reception. 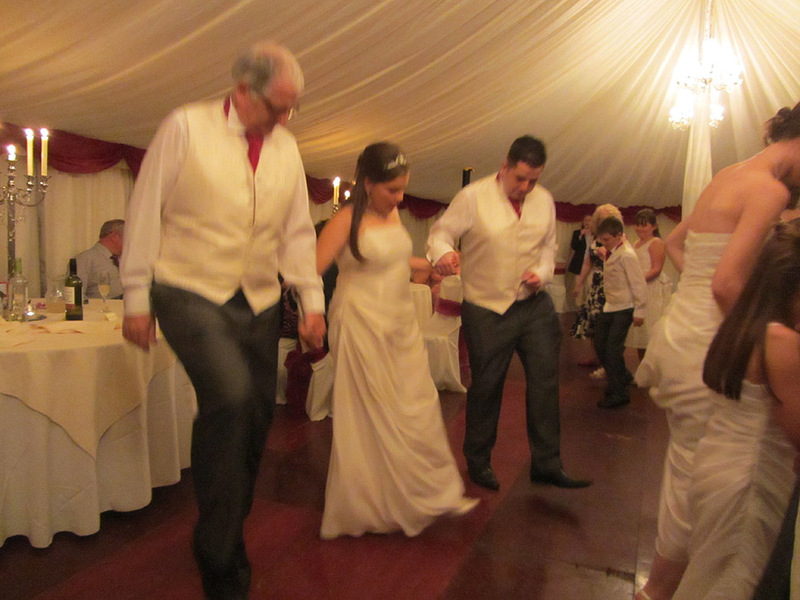 Ed, Susan and Alan. On the right in the hallway is George, Susan's Dad. 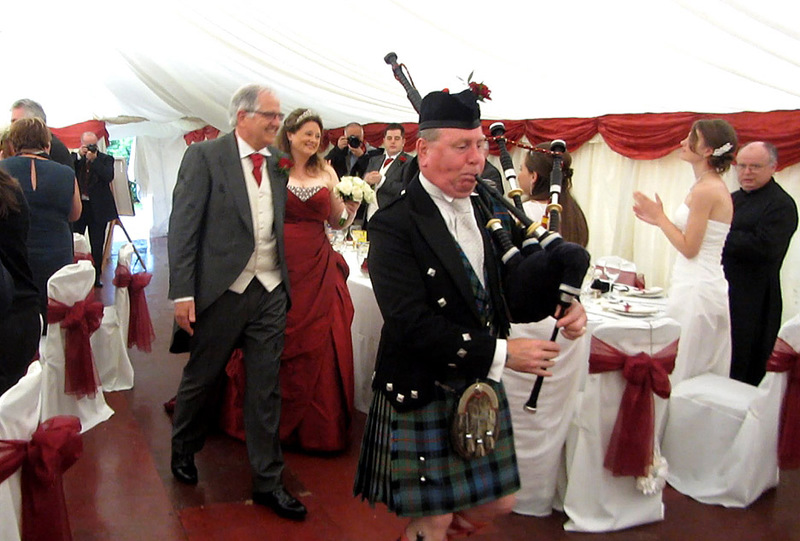 A study on " Bagpipes and Bouquet "
Alan pipes the bridal couple into the marquee. 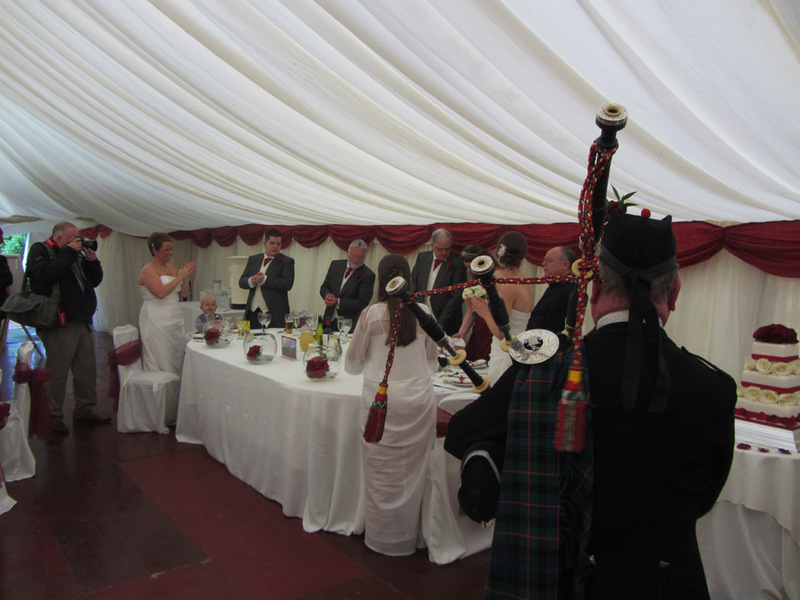 Clapping, toasts and speeches, then the feasting begins . . . 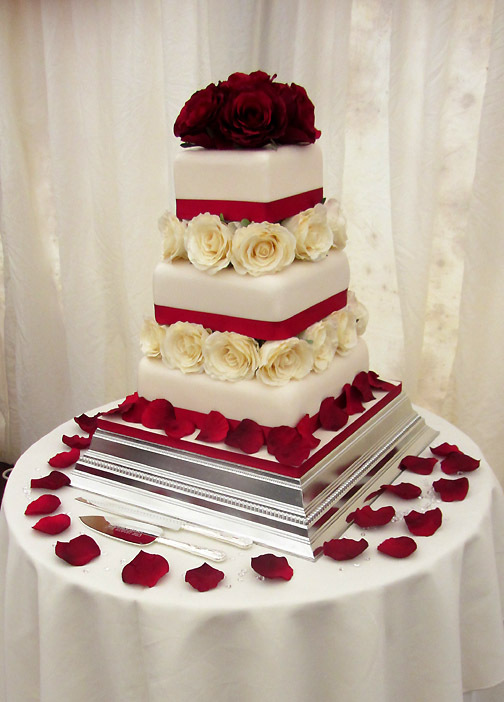 Detail of the beautiful cake. Later in the evening . 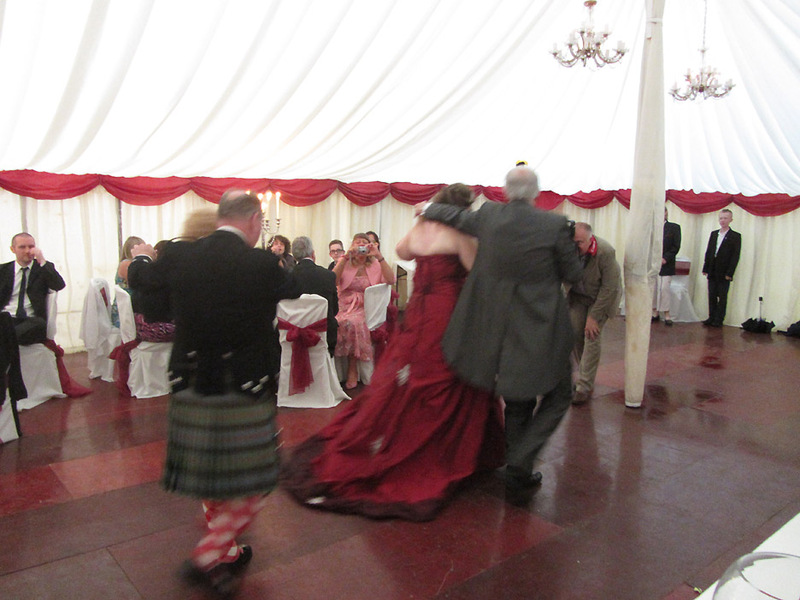 . . the ceilidh begins. Around and around . . . 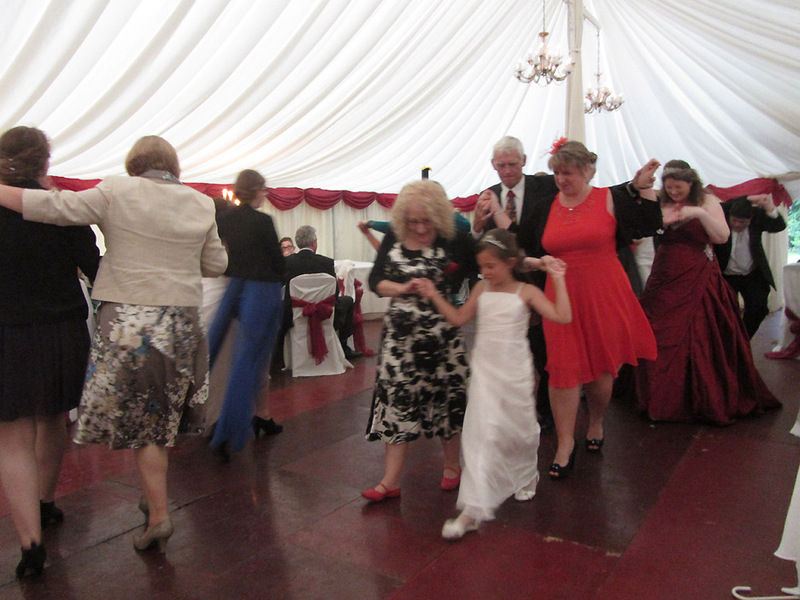 Joined by guests to do the 'Gay Gordons'. 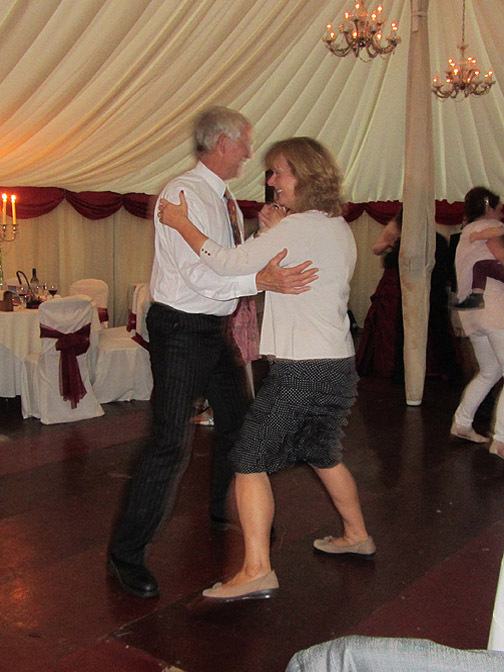 . . Roger partners Elaine for this dance. What is happening here on the right . . . a stolen kiss ? It's okay . 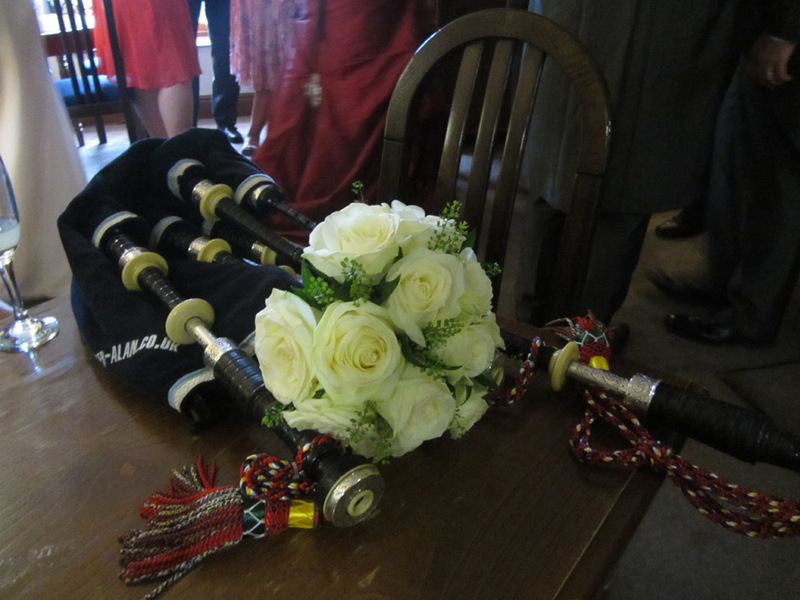 . . they're married ! 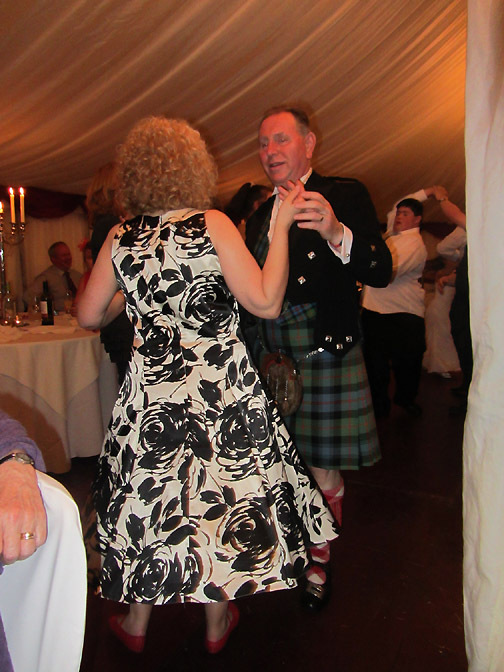 Roger and Barbara getting into the swing of things . . .
. . . as the evening progresses. 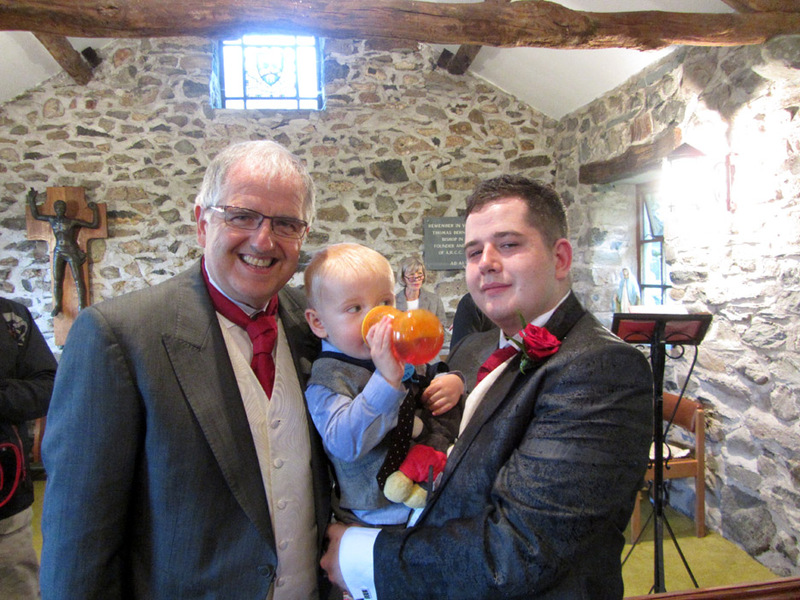 Ed, step-daughter Alex and son Matthew. The merriment continues . . . 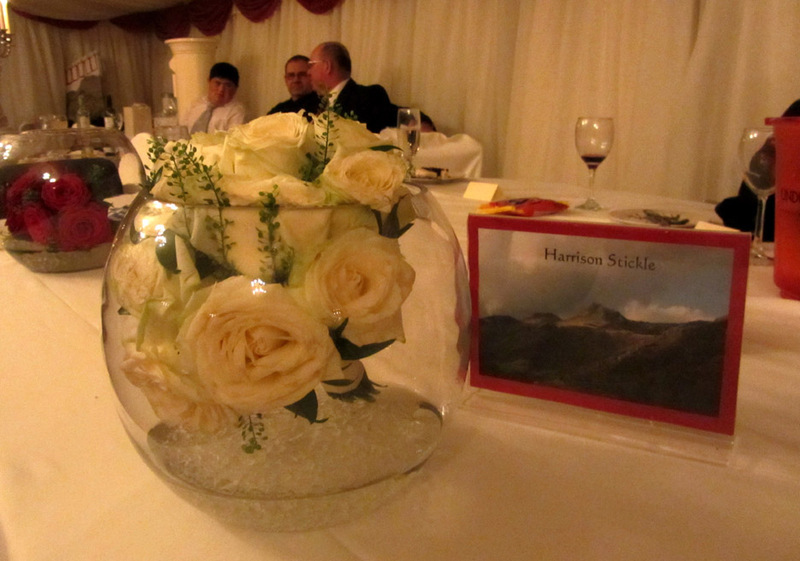 The top table with bridal bouquet and Ed and Paul's signature mountain, Harrison Stickle. 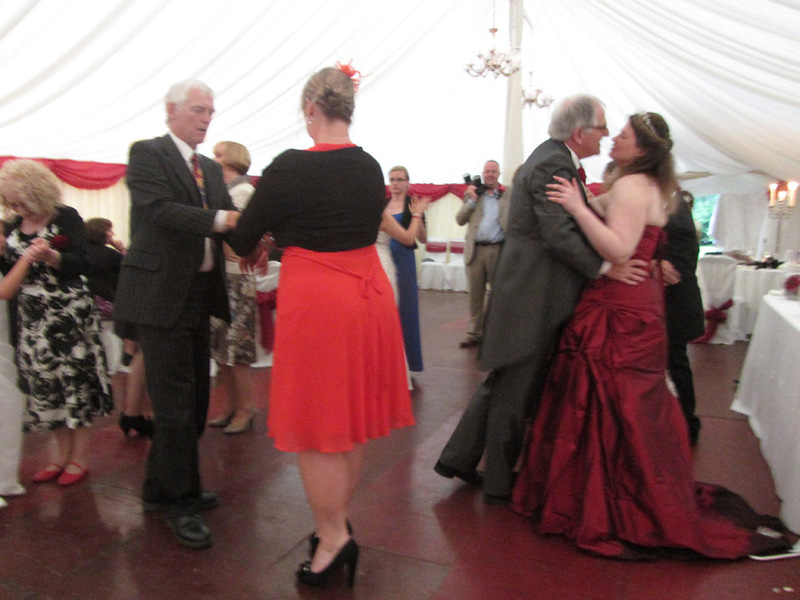 Today its peak towers in the mist and rain way above our heads down here in the marquee. Congratulations . 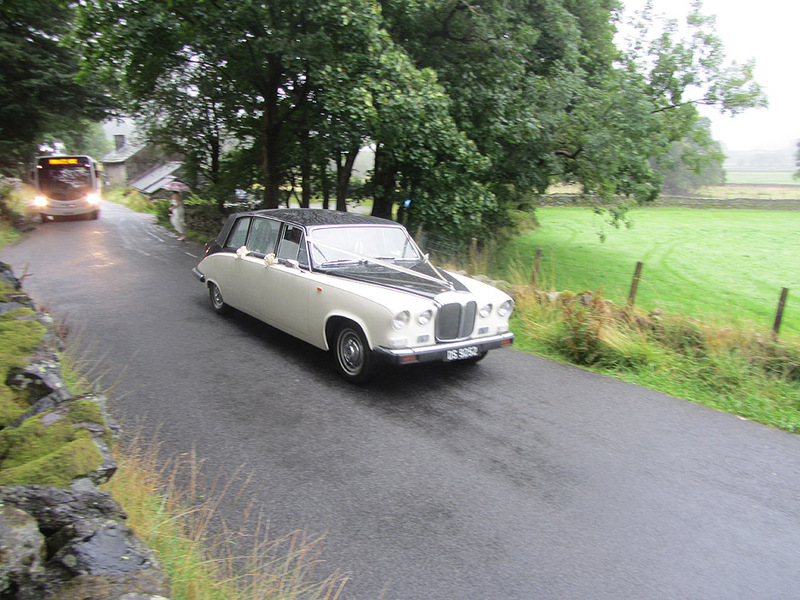 . . and thanks to Ed and Susan for such a lovely day. 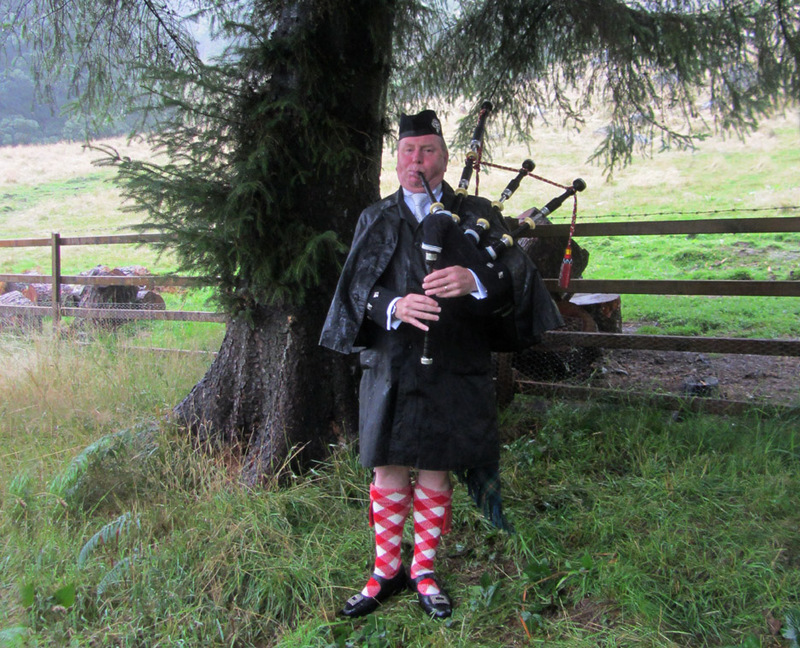 We've talked of Alan's contribution on the pipes . . . now watch and listen. Click to start the video . . . and then sit back and enjoy a brief summary of the day and part of the speech. This site best viewed with . . . a little sunshine perhaps ?